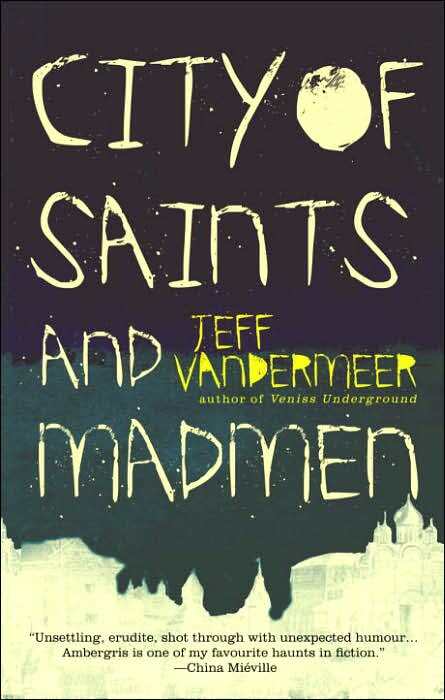 City of Saints and Madmen by Jeff VanderMeer is a collection of short stories and supporting material that is classified as postmodern fantasy. The connection between the stories and other material is that they are all set in VanderMeer's fictional city of Ambergris. VanderMeer has created a totally new, unique world in Ambergris and for that he is to be applauded. Although humans currently live in Ambergris, they are not the original, or only inhabitants. Originally a race of mushroom-like humanoids nicknamed "gray caps" had a city on the same site, but they were violently killed or driven underground and their city was mostly destroyed. In Ambergris you will celebrate the Festival of the Freshwater Squid, which is even more dangerous than walking down Albumuth Boulevard. And you will want to get off the streets at night when the gray caps come out. Since City of Saints and Madmen features recurring characters and self-referential plots, you need to take your time reading it because the details and characters will matter. Even though it is very involved, dense material, it will not be difficult or drudgery to read because VanderMeer is a very good writer and there is a lot of humor found in the stories and supporting material. I enjoyed the footnotes in "The Hoegbotton Guide to the Early History of Ambergris." 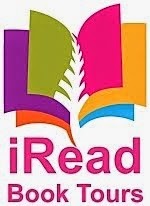 In "The Strange Case of X," the institutionalized X is a writer who carries around his book, City of Saints and Madmen. He is convinced he is really from a city called Chicago and made up Ambergris. "The Transformation of Martin Lake" is a World Fantasy Award winning short story. Even the Glossary, A Note on Fonts, and About the Author sections should not be skipped. I should note that there were earlier editions of City of Saints and Madmen that do not have all the material found in the 2006 edition. I wanted to read City of Saints and Madmen before VandeerMeer's other two books set in Ambergris, Shriek: An Afterword and Finch.